Getting married and travelling the world – amongst other things! A lot has happened between the last post and this one. Finding the man, getting to know him, dating and finally getting married to him took up considerable amount of time. Hence the blog was completely ignored. Getting married was a fun affair. I will definitely post a few pictures and also write about some fun moments during the wedding some time later. The man, who is now the husband was very clear about the first travel destination as husband and wife. So even before deciding the wedding dates or venue we had zeroed on the destination – South America. Had the choice been left to me, I would have clearly chosen some place closer and less hectic. Thanks to him, I had the best trip of my life. South America, being a huge continent (the map of which I know better than Asia now), we had to choose the places we could cover in 3 weeks. Since two of husband’s friends were getting married to each other in Uruguay around the same time we were very clear that Uruguay is going to be one of the destinations. To be fair, the fact that we were invited to their wedding is one reason we went ahead and actually made the trio happen! We had decided that we could do 2 more countries within the time we had. 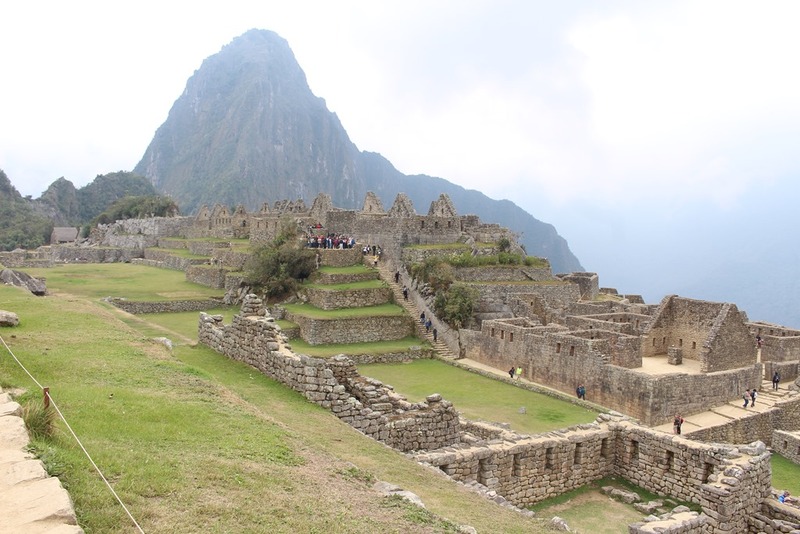 My husband (Rony) was very keen on going to Brazil and I wanted to go to Machu Picchu. 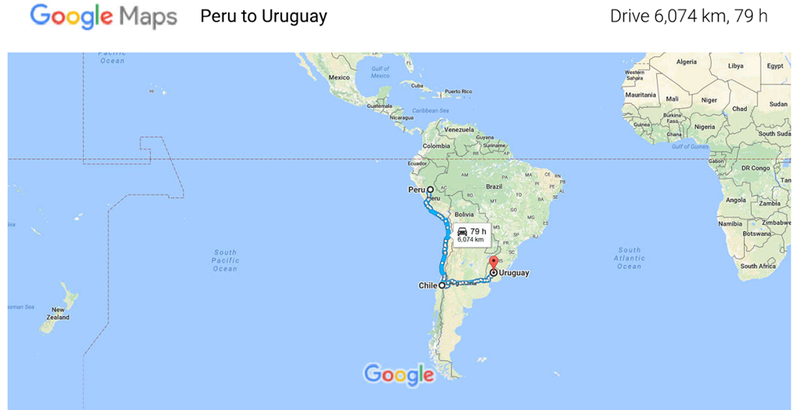 So the initial idea was to go to Peru, Brazil and Uruguay. However the ticket prices to and from Brazil were too expensive and we would go over budget. We explored other options like Argentina and Chile. 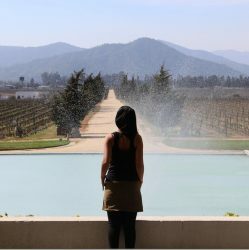 Chile looked like a good option since we would get to visit some of the best vineyards in the world and also visit thee Patagonia. So considering the budget within which we were working and the places of interest we zeroed down on Peru, Chile and Uruguay. We were very clear from the beginning that we shall not use any travel agencies for making our itinerary. Hence it really got down to the two of us having endless conversations over phone and messenger in order to decide the trip. Another decision we had made is not to over shoot our budget. Though I am a great fan of air bnb and Rony is a fan of hostels we decided to stick to hotels for this trip, which increased the budget. But thumb rule was to book only hotels less than USD 100 dollars a day. When we started planning, we understood that it was not as easy as it looks! So, firstly I studied the map of South America quite closely. Rony is relatively better at geography and had already done a trip in Central America so he knew the map well! The first challenge was obviously to get a cheap yet comfortable air travel to and from South America. 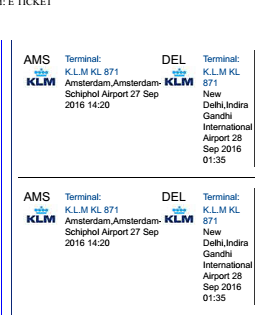 Travelling 25 hours at one go is something either of us have never done. To and fro from any of these countries was way more expensive than flying into Peru and flying out of Montevideo. This was very surprising for us since it’s usually costlier as compared to flying in and out from the same country. Having found this out, the next hurdle was to find a route through a country which didn’t not require a transit visa for Indians. 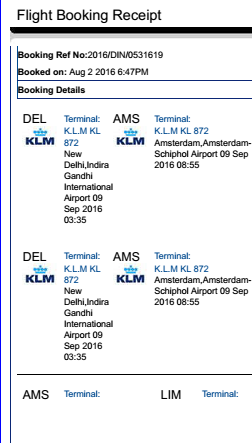 We found the answer in KLM Royal Dutch Airlines. The overall experience was excellent! Having booked the tickets the next step was to apply for visas. An Indian passport does not give you a visa on arrival on any of these countries. Hence we had to individually apply for visas for each of these countries. It was relatively easier for me since I was working in Qatar, holding a Qatari Work Permit. Rony had to engage an agent and submit hundreds of documents. Our visa application stories calls for a different post. We had the opportunity to come in contact with some amazing people as well as some not so amazing people in the course of visa application. Let me leave that for another post. Visa for Peru – Check! Visa for Chile – Check! Visa for Uruguay – Check! (vi) Travel light! We didn’t manage to travel as light as we wanted to. But at the end of the day we didn’t pay excess baggage in any flights even with our shopping. At the end of the trip, like every other trip we did feel that we could have done a lot better, seen more, shopped more, travelled lighter, spend lesser, spend more time in one place rather than the other. But I guess, everyone feels that at the end of any trip. The good bit is we realized that we can indeed travel together as a couple, our interests are similar in many things, we were able to accommodate the interests that differ and enjoy it too, we were able to bring back a lot of great memories and memorabilia for our new home. And most importantly we are looking forward to our next trip. Wait for the next post about the county that we loved the most –Peru!